During the first 2-3 years of a child’s life, twenty primary teeth erupt into the mouth. The number of teeth remains unchanged until approximately age 6 when permanent teeth begin to erupt and replace the primary or “baby” teeth. Ultimately twenty-eight permanent teeth erupt by the age of 13. When four wisdom teeth erupt around age 18, the permanent dentition is complete and features thirty-two teeth. If the number of primary teeth is greater than 20 or if the number of permanent teeth is greater than 32, the condition is known as hyperdontia. The extra tooth or teeth are known as supernumerary teeth. Supernumerary teeth tend to run in families so it is believed that there is an inherited component to them. However, no definitive cause has been determined to date. Your dentist will determine what treatment is necessary based in part on the number and location of the supernumerary teeth. For example, an extra baby tooth located in the front of the mouth will often fall out on its own when nearby teeth also fall out. No treatment is necessary for this situation. However, an extra permanent tooth in the same location may require extraction in order for neighboring teeth to be positioned properly. 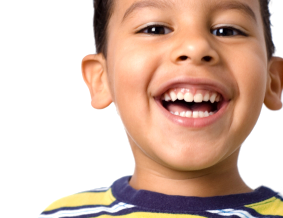 If you suspect your child has hyperdontia or have questions about the number of teeth that is appropriate for your child, call for an appointment today or simply ask us at your next visit.